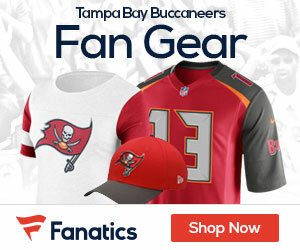 Pro Football Talk.com talks about the ongoing situation with former NFL and Bucs linebacker Keith McCants, who is in jail and is dealing with a number of issues that could keep him there for a long time. McCants, jailed since April 23 on charges new and old, is dealing both with legal troubles and lingering physical issues from his playing days. On top of that, he’s broke. It’s not as if McCants didn’t have people urging him to save his money. Danny Sheridan, the long-time line-setter for USA Today, had a heart-to-heart with McCants when he left Alabama one year early for the NFL. “I told him he had to take his signing bonus, put it away and invest it, not pay any taxes on it, and just live very comfortably off his salary,” Sheridan told the Tribune. “That way, if he got hurt and the money dried up, he’d have something to fall back on.